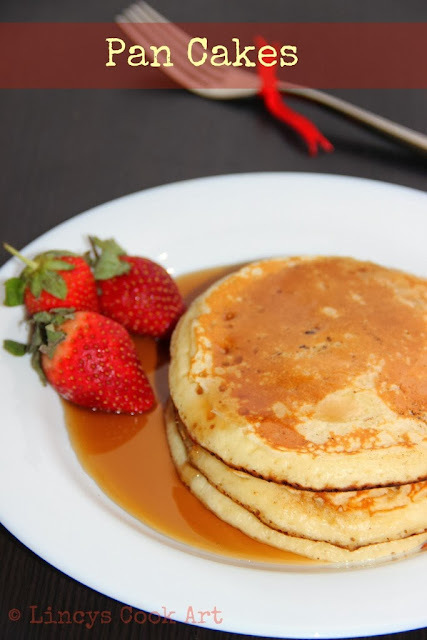 A pancake, also known as a hotcake or flapjack is a thin, flat, round cake prepared from a batter and cooked on a hot pan. In Britain it is made without a raising agent, and is similar to a crepe. In America, a raising agent is used (typically baking powder). The American pancake is similar to a Scotch pancake. These pan cakes are light and fluffy served as a breakfast. 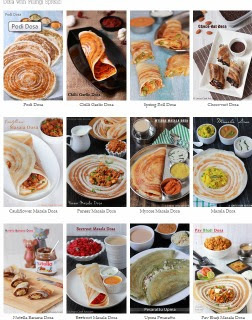 We can call this dish as “American uthappam”. Preparation is same as that of our uthappam. But the ingredients are different. They use all purpose flour instead of rice and egg instead of urad dhal. 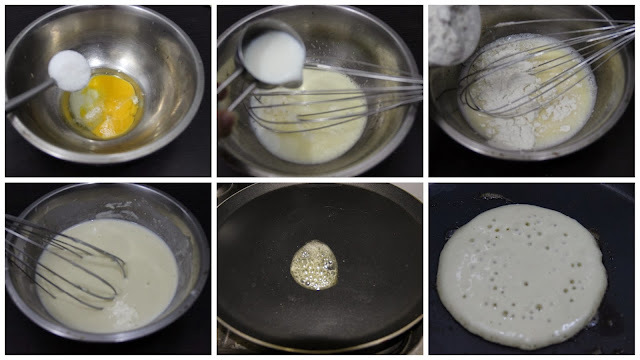 Uthappam needs fermentation and pan cakes are instant preparations using raising agent. They may be served at any time with a variety of toppings or fillings including jam, fruit, syrup, chocolate chips, or meat. In America, they are typically considered to be a breakfast food. In a bowl, break an egg; add sugar and salt; beat well till frothy using a ladle or whisk. Then add the milk and mix well. Now add the all-purpose flour and baking powder. Add quarter cup at a time and mix together, without any lumps. Add half teaspoon of butter in a pan; Pour a ladle full of batter onto a hot pan. Don’t spread it. Flip pancakes when the edges appear cooked. Serve immediately drizzling Pan cake syrup or maple syrup or honey with chopped fruits like strawberries/ banana or blueberries. Those pancake looks incredible , wonderful !! These look light and fluffy. super fluffy and spongy pancakes :) looks fantastic dear !! Ha ha.... like that name “American uthappam”. Reminds me of the simple pancakes that we had when we were kids. they look very light and spongy!